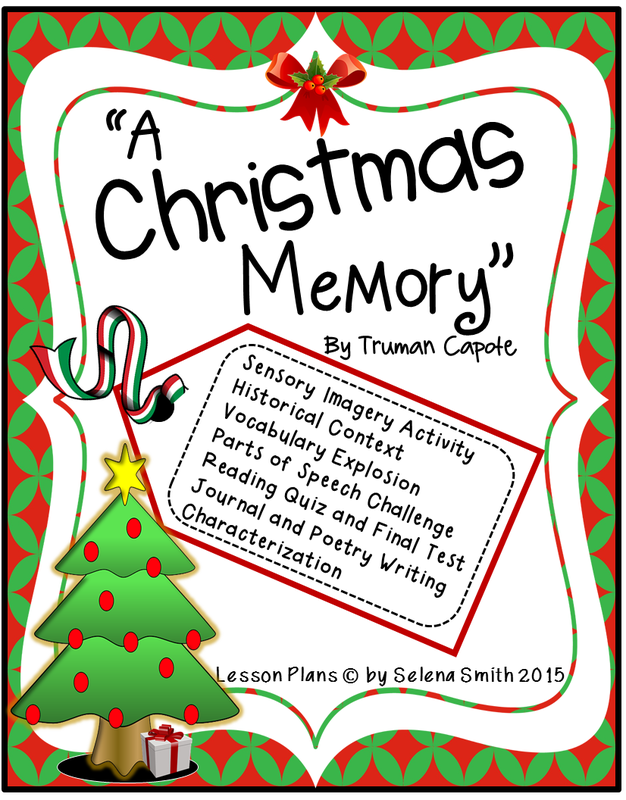 The Best of Teacher Entrepreneurs II: "A Christmas Memory"
A. Prose and poetry writing with comparion of each's effect. B. Vocabulary gift box containing 12 words, definitions, sentences using the words, parts of speech, and illustration. C. Reading quizzes - 1 short answer version and 2 multiple-choice versions of the same quiz to deter cheaters. D. Research on the Great Depression and comparison to the story. E. Teaching and learning adjectives and adverbs using sentences about Truman Capote's life. F. Collaborative sensory imagery activity. G. Group parts of speech competition. H. Test with multiple choice, true/false, and matching (comes in 2 versions). I. 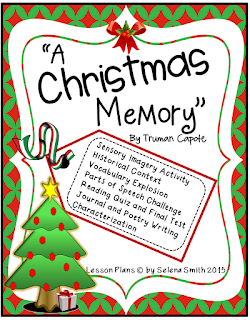 Optional activities including questions requiring text references, character profile sheet, practice writing with sensory details, alternative vocabulary task for the the gift box, and more. Answer keys are included for tests, quizzes, and adjectives/adverbs sheets. There are suggested responses for the text reference questions. A rubric for grading the vocabulary box is also included. Furthermore, an editable PowerPoint with the tests, quizzes, and vocabulary box rubric is in the zip file if you wish to make any changes. This unit has step by step and day by day instructions. A materials list is at the top of each day's instructions. This unit contains pictures of the vocabulary box activity along with easy-to-follow instructions. In addition, pictures are inlcuded for the parts of speech competition. The activities will challenge and engage your students. With all the options, you can easily adapt the lessons to meet the needs of your students. There are so many goals and objectives covered in this unit, you just can't go wrong!